this is ester's blog: 3 Dimensional Life Drawing! 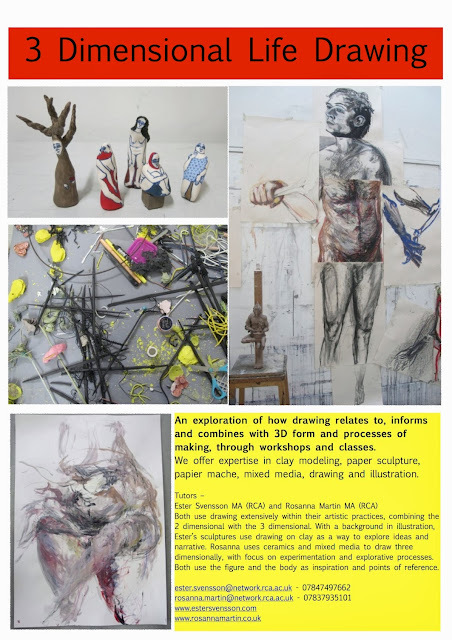 My friend and fellow RCA graduate Rosanna Martin and i are offering workshops in 3 Dimensional Life Drawing. Please see the info on the poster, and feel free to get in touch for any further information.